SILVERSMITH IDENTIFICATION - ANY IDEA ? 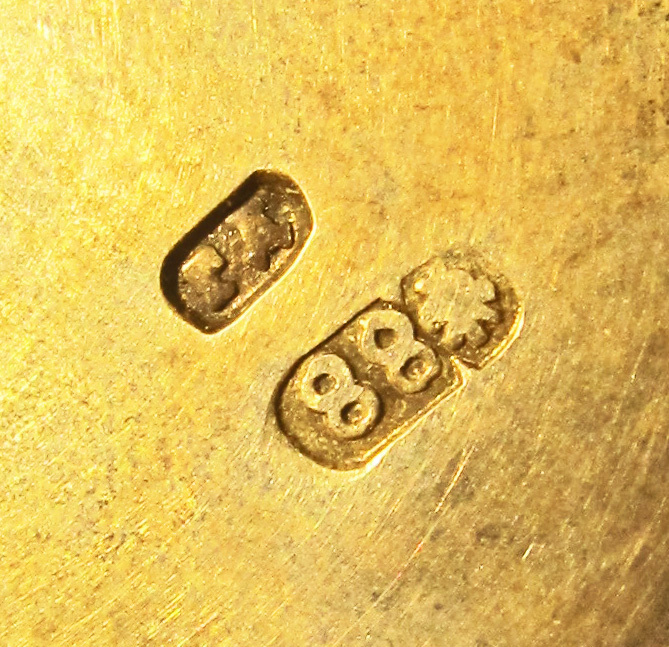 Attached picture shows two punchmarks on the reverse side of a Russia-made breast star. A typical combined city and standard mark for St Petersburg + 88 zolotniki - is quite easy to read. The master's mark is more difficult to identify. The first letter looks like a "r" and the second like a "A", though both are somewhat blurred and not neatly struck. I have not found a possible match on the various links already provided on this site. Any idea on this silversmith's idendity ? I believe the first letter to be a "G", and second one could be even a "D", but it's most likely an A. Can you please post the front side of the order, maybe if you determine aprox year of the order you can determine the maker? Belated and sincere thanks to Joseph - Alpha Draconis - for his valuable input. 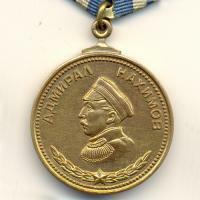 I have not been able to get the medal back as I am not its owner. If I recall correctly, it was a foreign order, not a Russian order. A Chinese order of the Double Dragon is what I can recall though I did not examine it thoroughly. It was cased in a box bearing the stamp of A.A TREIYDEN in Saint Petersburg. 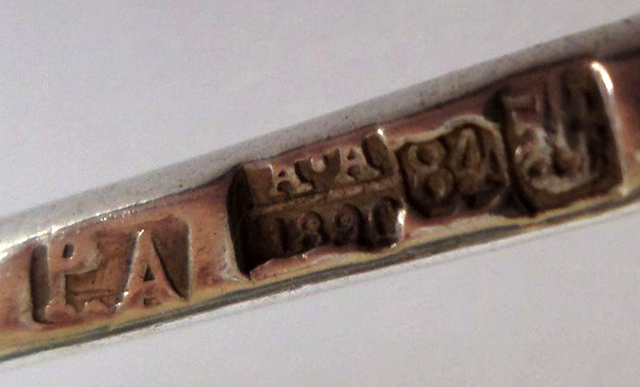 Research conducted outside GMIC leads to believe that it could be a "P.A", (i.e "R.A" in latin alphabet) punchmark belonging to silversmith Roman Aristarkhov who was very active in Moscow in the years 1890-1900, i.e perfectly in line with a Chinese imperial award as some were made in Russia at that time and bear the initials of famous silversmiths (Bogdanov, Rupert etc....). The only issue to solve is why a Moscow-made award would end up in a Saint Petersburg store with the name of another famous siversmith on the box. Sub-contracting is a possibility as A.A Treidyen of Saint Peterburg could very well have sold items made by other silversmiths, not necessarily based in Saint Petersburg. Could you, please, mention what other research points it this silversmith? Any photos to share? For me the letters are "ГД" = "GD". I don't think it looks like an "A" at all. But I could be wrong as the decorative fonts can be deceiving. Looks like a ГД to me, too. Internet research has provided three images of the Roman Aristarkhov punchmark. Well, from a distance they look somewhat similar to that of my September 2017 question. The ГД = GD possibility must be worked out further as it has plenty of potential as well. The crux of the matter will be the actual name behind "GD" operating in St. Petersburg circa 1890-1900. I believe that those letters are "R.A." not "G.A.". Anyway on the initial photo the maker is most probably "G.D.", but never mind since you don't have that order any more. Chinese order of double dragon is known to be made by Russian jewelers!